Hyperpigmentation is a condition that effects most people in one form or another. Many people want to know how to get rid of hyperpigmentation, but let’s take a look at what exactly it is, what causes it, and also how to avoid it. If you want beautiful skin for a lifetime, here is some information that will help. Before we can figure out how to get rid of hyperpigmentation, we need to know what it is. Hyperpigmentation is damaged melanocytes. A melanocyte produces melanin, a brown pigment that is responsible for the coloration of our skin and it actually protects us from UV rays. When these cells get damaged, they can produce too much melanin and cause what people refer to as age spots, liver spots, or sun spots. “Hyperpigmentation” is the correct terminology, which encompasses all of these conditions. Hyperpigmentation has many different causes. I believe that the number one cause for hyperpigmentation is exposure to the sun without proper protection. Secondly, we have PIH or Post Inflammatory Hyperpigmentation which is caused by trauma or damage to the skin. Trauma can happen in different ways including improper extractions (at-home zit popping) and professional treatments that are too strong or aggressive. Melasma is another condition of hyperpigmentation that I see frequently. This is a disturbance of the melanin usually caused by the sun, genetic predispositions, and hormonal changes. Melasma often occurs during or after a pregnancy and is referred to as “The Mask of Pregnancy”. Many people don’t realize how important it is to protect your skin on a daily basis from the strong UV rays coming from the sun. Many people tell me “But I don’t go outside, I just stay in my office all day”. People fail to realize that just driving a mile to and from work, walking to and from your car, taking a half an hour at lunch, or even being outside on a cloudy day exposes us to large amounts of UV rays. It’s important to realize that those UV rays are penetrating the windshield, the windows in your office, and the cumulative effect of daily sun exposure will end up on our faces as hyperpigmentation. Sunscreen, sunscreen, and sunscreen! Every single day, rain or shine, sunscreen needs to be part of your daily routine, just like brushing your teeth. If you are in direct sun, like having a day at the beach, you must reapply your sunscreen every two hours. Wearing protective clothing, including a UV rated hat is highly recommended. You could quickly do a Google search for how to get rid of hyperpigmentation to find home remedies and make a funky fruit salad with potatoes and put on your face and see if it gets lighter. Professionally speaking, I cannot recommend this as a serious treatment. a, sun damage, and PIH by using a combination of microdermabrasion and mild TCA (trichloroacetic) peel along with several Environ products which target the actual damaged cells. 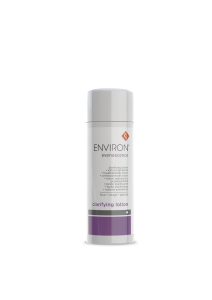 Using the Environ Clarifying Lotion, which has an MSH inhibitor and niacinamide (vitamin B3) to reduce the melanin production and hyperpigmentation. 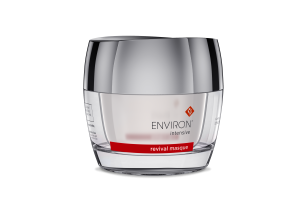 I also recommend the Environ Revival Masque which is a combination of three acids that target photo-damage. I find this particularly beneficial when micro-needling. 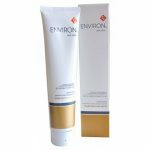 I love the Environ Sunscreen, which is SPF 25 and very moisturizing and rich in vitamin E.
health and for hyperpigmentation, no matter what the cause. As a skin professional, I believe it is extremely important to evaluate each individual very carefully. A thorough history, which would include lifestyle as well as skin care, is essential in making the right decisions and choosing correct products and services for a client. Learn about your skin professional, their experience, their education, and their actual interest in you as an individual before taking their advice. I hope all this information has been beneficial for you. Learn more about The Skin Genie.